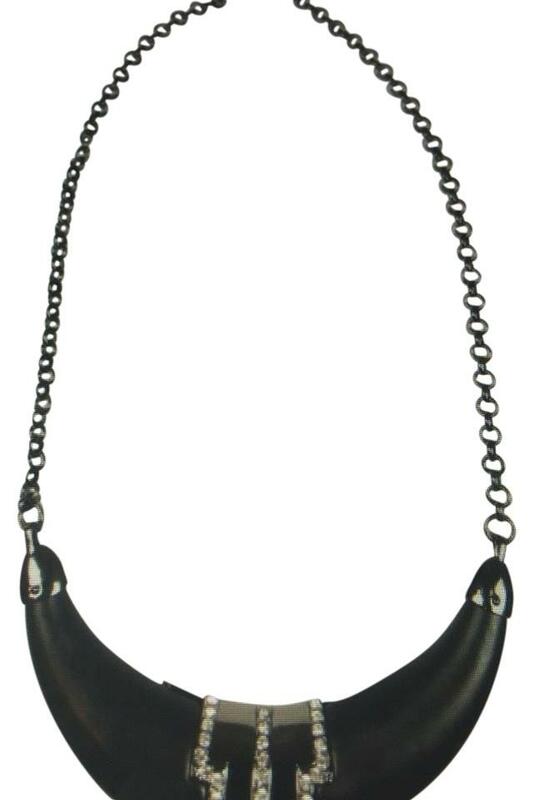 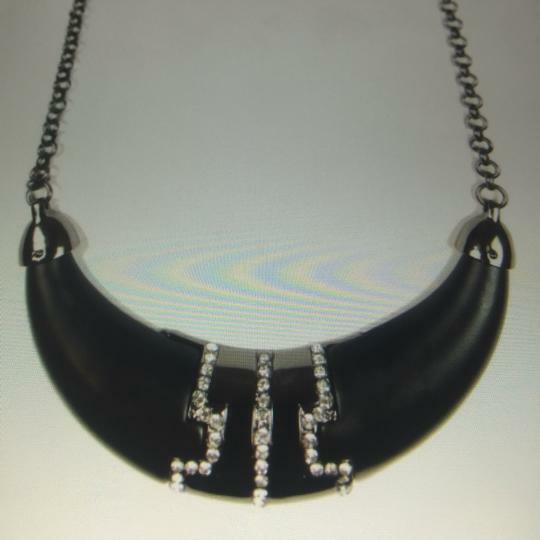 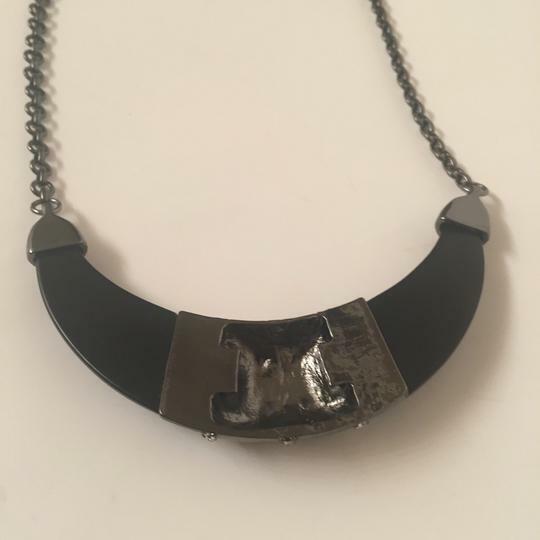 This bold collar statement necklace is a must have for any classic wardrobe. Black matte hematite with clear crystal embellishments. 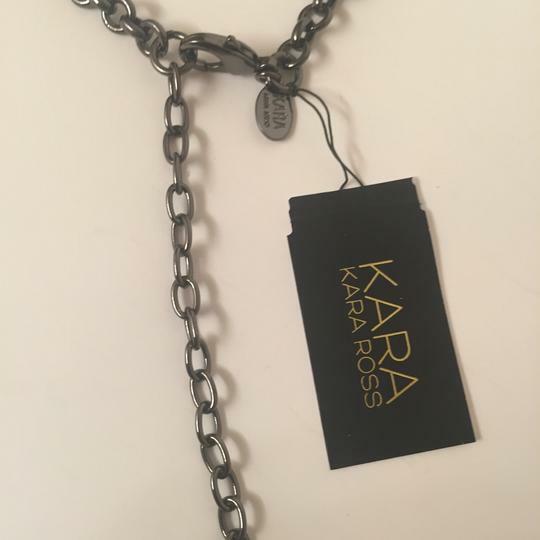 Has a lobster clasp with attached Kara Ross logo tag. 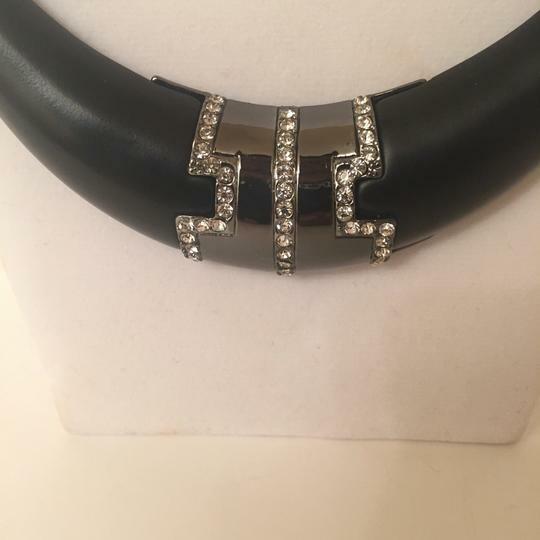 24" long, 4" extender.